Jaš Otrin started his ballet and music education at the Music and Ballet Conservatory in his hometown. Afterwards he studied at the Ballet Academy of Munich (Heinz-Bosl-Stiftung), in the Class of Professor Heinz Manniegel, where he graduated in 1994. Immediately after his graduation, he joined the Bavarian State Ballet, under Konstanze Vernon, where he soon started to perform solo and principal roles in both classical and modern repertory. His highlight then was the Prince Siegfried with the primabalerina Elena Pankova. In 1998, Wayne Eagling brought him to the Dutch National Ballet in Amsterdam, where he made his debut as the Prince in Cinderella (chor. Sir F. ashton) with Anna Seidl. After a short engagement at the State Opera Ballet in Hannover (dir. M. Balkan), he followed the invitation of the first Ballet Master Dinko Bogdanić and joined the German State Opera Ballet (Unter den Linden Berlin) where he danced as a soloist until 2003, Afterwords he started a succesful career as a freelance artist in which he concentrated his collaboration with the Croatian National Theatre in Zagreb aswell as the Slovene National Theaters Maribor and Ljubljana. In the season 2005/06, after the appointment as the Artistic Director of the Slovene National Ballet he ended his active ballet career. In the following 5 seasons the company enriched its repertoire with 12 premiers. He managed to gain under contract such legendary choreographers as Hans van Manen, Robert North, Uwe Scholz and Twyla Tharp, who agreed to set their ballets for the company and were presented in Slovenia for the first time. In more than 90 years of existence of professional ballet in Slovenia the first co-production ever between the two National Ballet Companies in Slovenia: Maribor and Ljubljana could be realized under his direction; Architecture of Silence and La Bayadere. For the celebration of the 90st anniversary of ballet in Slovenia he initiated the Ballett Days, which imply a chain of ballet performances during a period of 14 days, every night, including photo exhibitions and round tabels regarding latest dance topics. In 2009, he and his spouse Bojana Nenadović created the ballet Swan Lake – This Time … After Prešeren, for the Festival June in Ljubljana. The performance was the most polarised artistic event. They were performed open air on a specially constructed stage on Ljubljana’s central square, named after the poet Prešeren. The performances produced for this occasion were seen by approximately 30.000 people in two seasons, which makes it to the probably biggest sale success in history of the national theatre. During his function of the Artistic Director, Jaš Otrin also initiated a new national reform of the transition regulations, which will hopefully bring a coordinated solution for the dancers after their active career and their transition into the next career. This subject is also one of the important fields of engagement of the Agency OtrinArtManagement, founded in 2010. In the year 2012 he was engaged for two seasons as the Company Manager with the Musiktheater im Revier GmbH, where he was responsible a.o. for the realignment of its ballet company “Ballett im Revier”. In this time he was teaching the ballet company classes and coaching some of the repertoire rehearsals as well. In the year 2015 he completed his compact studies in business sciences at the Wissenschaftliche Hochschule Lahr, Germany (AKAD University) and in 2016 his extension studies Music- and Theater Management at the LMU Munich. In 2017 he was conferred the Degrees Master of Arts (M.A.) at the Ludwig-Maximilian-University Munich and MBA – General Management at the Allensbach University. Jaš Otrin is working in several honorary capacities. 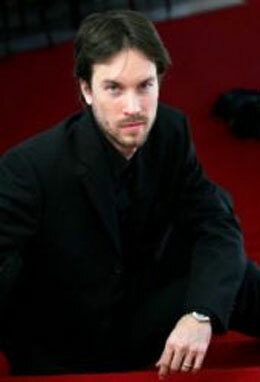 Between the years 2008 and 2012 he was Member of the Board of Administration of the “Prešeren Trust” (Slovenia). In the year 2013 he was Member of the Board of the “German Professional Association for Dance Education” (DBfT) and between 2013 and 2016 he was Chairman and CEO at the “Association for the development of Dance in Germany” (FVTK e.V. ), where he was responsible for the organisation and production of the “German Dance Award” (“Deutscher Tanzpreis”).